Balvenie Peat Week, a heavily peated single malt from the Speyside distillery, is being launched worldwide from October. The 14-year-old single malt, which was distilled in 2002, has been made exclusively with barley peated to 30ppm (phenol parts per million) using Highland peat. Although heavily peated, the use of Highland rather than Islay peat is said to give the expression earthy, smoky notes, while maturation exclusively in American oak casks imparts vanilla, butterscotch flavours. The new expression has been inspired by a time when all Scotch whisky distilleries fired their kilns with peat, rather than with the more economical fuels such as coal that are used today. Balvenie distillery restarted peated runs in its own maltings in 2001 for just one week a year, and has continued doing so annually since. Peat Week is the result of these trial runs, conducted by malt master David Stewart and former distillery manager Ian Millar. 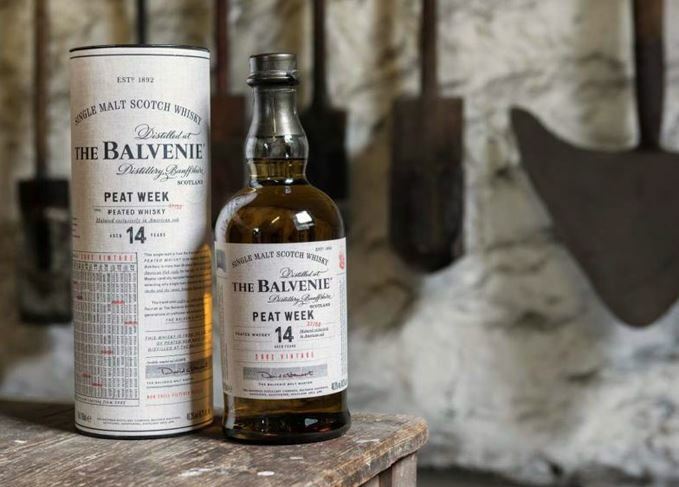 The 2002 Vintage is the first bottling to be released, although the distillery has hinted at the release of a 50-year-old Balvenie Peat Week in the future. A spokesperson for Balvenie distillery said: ‘Our peat has a higher proportion of “non-phenolic” characteristics which give the whisky earthy, smoky notes and contains much less of the “phenol’” which gives the salty, medicinal characteristics of our Islay cousins. Balvenie Peat Week 2002 Vintage has been bottled at 48.3% without chill filtration, and will be available in global markets for around £60 a bottle from October. The expression is a domestically available version of the new Balvenie Peated Triple Cask, a heavily peated 14-year-old malt matured in first-fill Bourbon, refill Bourbon and Sherry casks that was launched into global travel retail in June this year. Deep in the Outer Hebrides, Dave Broom is awe-struck by a reminder of whisky’s ancient foundations.